Jasinda Wilder is a phenom. A titan among giants. I could talk about this book for hours and barely even scratch the surface. I wanted to savour and devour it in equal measure. I decided to take it slow, peeling back the many layers. Madame X is easily a book where I could read a chapter every day then just sit and ponder the genius of it all. Freedom of choice is something we often take for granted. How does one choose what they want when they really have no idea what choices are possible? X finds herself in a cocoon, protected from the outside world. A world where her every choice is made for her, where her past is near non-existent and her present is all she’s ever known. As her story unfolds and her interactions with other fascinating characters increase she begins to wonder about her life, her choices and about wanting more. What is the more? If actually given the choice could she choose? The answer is as clear as muddy water. I thought of the song Poison and Wine by The Civil Wars many times as I was reading. Bottom line ~ X is a master at composure. The development and presentation of her character is nothing short of brilliant. I look forward to her unraveling. The men of the story are much more difficult to discuss without giving things away. I will say I love them both. In many ways I see them as the same person, just presenting themselves in a different light. Both with agendas I long to discover. Throughout all the ups and downs and past the unknown I was happy with where the book ends. Growth and discovery take time. I look forward to the continuation. Each word on the page is choreographed with precision, especially chosen to engulf and envelope you inside Madame X’s world. Inside a sea of blue, drowning in uncertainty as to where the truth resides. Wilder is a chameleon, excelling at offering readers something different at every turn. The one constant is intelligent writing. 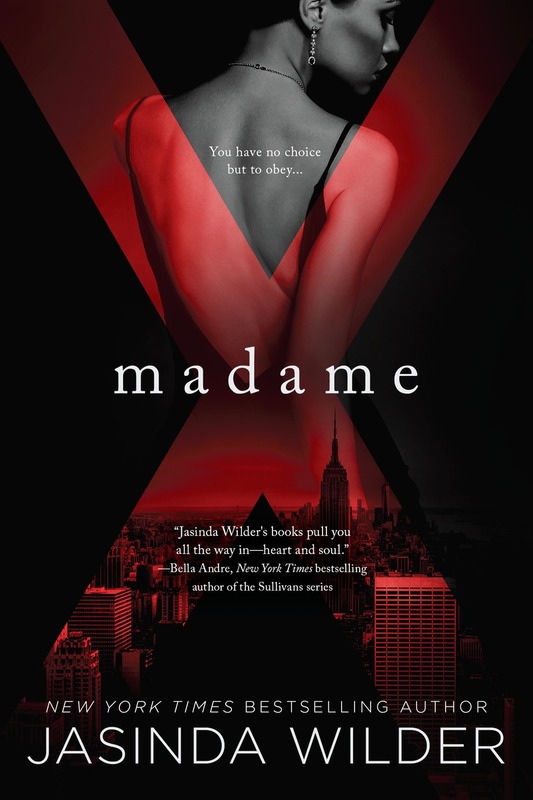 Madame X is a must, again and again. This review was prepared by Christine Borgford. An ARC was received in exchange for an honest review. “I have to take this.” A pause, a breath, a tap of finger on a cell phone screen. “This is Caleb. Yes. Visit her official website at jasindawilder.com.